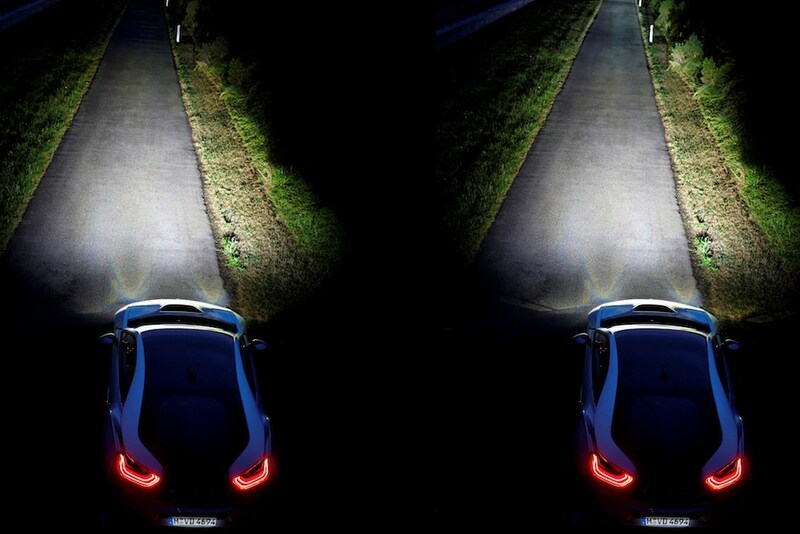 BMW is introducing new laser light headlamps that look pretty great. With the revolutionary BMW i8, the world’s most sustainable plug-in hybrid sports car, it seems only fitting that the BMW i8 to have headlamps featuring a completely new laser light concept. Whilst the basic version of the BMW i8 is equipped with high-intensity, energy-efficient full LED headlamps with a range of 300 metres, the optional laser light feature ensures a high beam range of up to 600 metres. Essentially it means that the high illumination range of the lights is doubled and the energy efficiency is increased by 30 percent compared to the LED lights. As a result of this laser light technology, the BMW i8 is not only as a plug-in hybrid sports car but also as the first production vehicle to incorporate the futuristic laser lighting technology. The laser diodes are a hundred times smaller than conventional light diodes, which help save installation space inside the headlamp, and also weight. These diodes emit a strongly bundled beam via special lenses onto a fluorescent phosphorus substance inside the headlamp. The substance transforms the beam diodes to an exceptionally bright white light that is ten times more intensive than conventional light sources. Due to their high intensity that is pleasant on the eye, BMW Laser Lights is the ideal light source for the main light beam of a vehicle and is the future of automotive light technology. It combines unparalleled performance and road safety with a high level of efficiency resulting in a more relaxed and comfortable driving experience.